The small house located at Via Bari 11 in Bolzano is one of the very few “case Semirurali” still standing today. In the 1930s, hundreds of these homes were built as a solution to the housing needs of the fast-growing working-class population. From the 1980s onwards, most of these homes were demolished in order to make space for high-density housing. The neighbourhood’s desire to preserve the memory of the “case Semirurali” led to the opening, in 2015, of an exhibition that explores the “case Semirurali” history through photographs, videos, maps, three-dimensional models and captivating stories about everyday life. Lupo Burtscher, together with Roberto Gigliotti, designed the exhibition and developed the exhibition’s graphics and communication material. 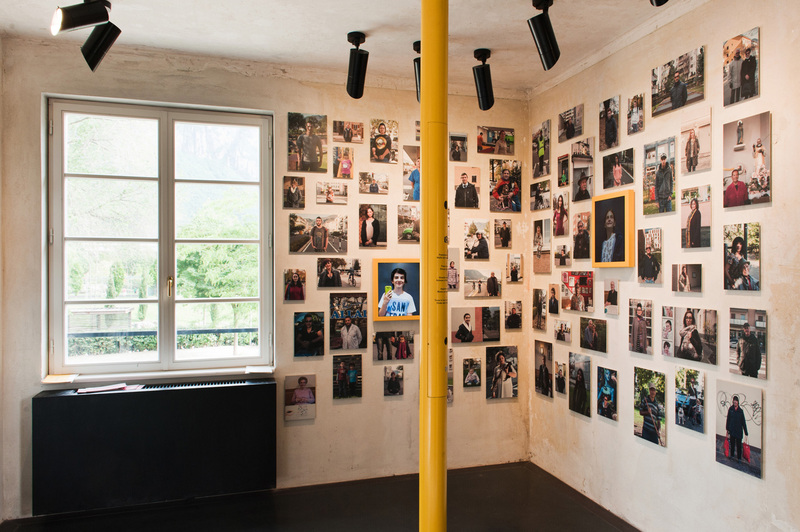 All exhibited objects are kept at a distance from the walls of the rooms and their identity is underlined by the presence of specially designed exhibition “tools” grouped together by using a shade of yellow. The walls remain untouched, intentionally showing the marks left by years of successive use, followed by abandonment. The presence of text in the exhibition is considered a substantial part of the show. For this reason the typography becomes a significant element in the exhibition’s architecture: texts are sprayed, cut off from folded metal sheets, projected, or become audible words spoken in the first floor of the exhibition. 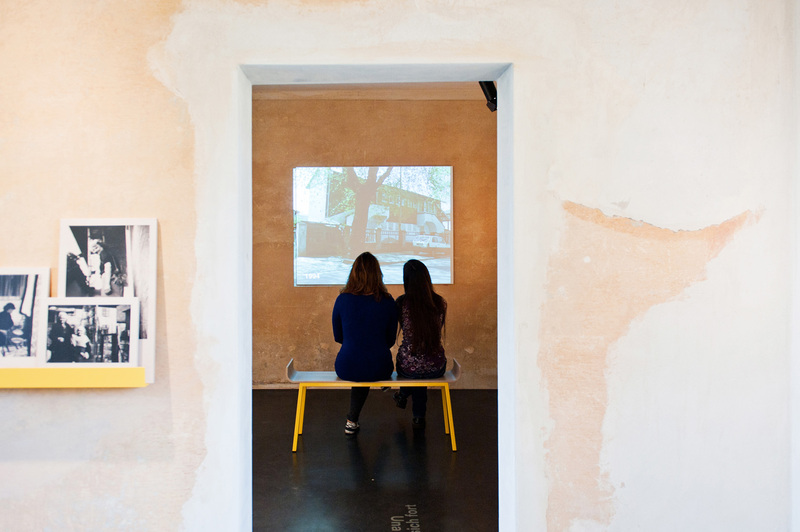 The language used for the different rooms is diverse and is adapted with sensitivity to the content selected for the different sections of the exhibition. The exhibition is the result of an intense collaboration between the curatorial team and Lupo Burtscher, together with Roberto Gigliotti. The whole show is based on the idea of history as flowing, without a beginning or end. Specific attention is given to everyday-life in the houses from the 1940s to the 1960s. There is no desire to celebrate or idealise a past; much more important is the connection with the present in order to better understand an obscure chapter of Italian history. For the permanent exhibition, Lupo Burtscher and Roberto Gigliotti invited the photographer Ivo Corrà to create a collective portrait of the current inhabitants of the district. The filmmaker of Miramonte Film undertook a journey through time and space of the Semirurali district, with historical and contemporary images. 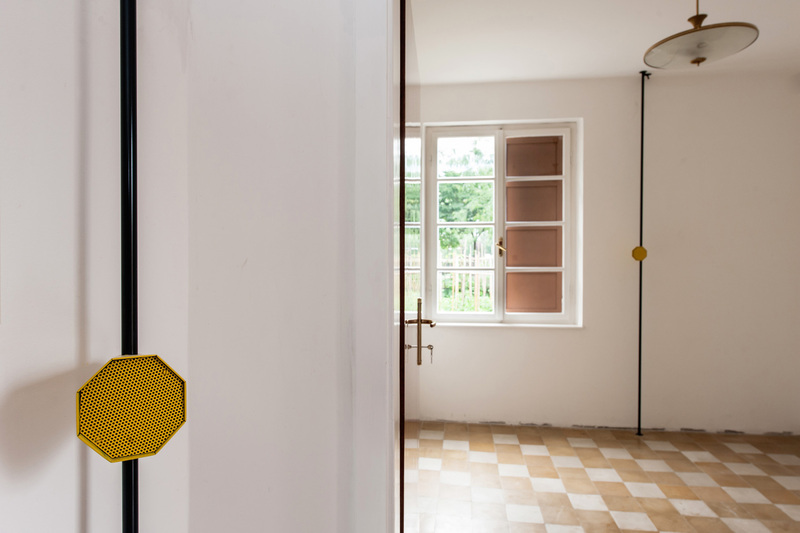 Lupo Burtscher and Roberto Gigliotti also invited the writer Maxi Obexer and the sound designer Stefano Bernardi to undertake interviews and a sound-installation with people who lived in the houses and who still have strong memories of their time spent in the houses and district.